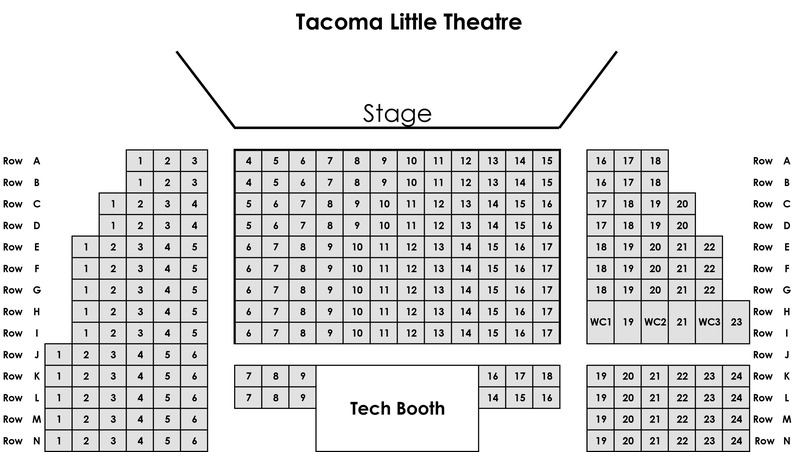 All auditions are located at Tacoma Little Theatre 210 North I Street. Audition dates are subject to change without notice. To schedule an audition appointment follow the link for each show. If you have questions, please call: (253) 272-2281 or email us here. Audition sign ups are generally taken one month before audition dates. If there is a link next to the production below, it will have more information. IF THERE IS NO LINK, AUDITIONS ARE NOT YET BEING SCHEDULED. Most directors want a 1-2 minute monologue for your initial audition. For a comedy, prepare a humorous monologue; for a non-comedy prepare a serious monologue. ; for a musical prepare a song of no less than 16 bars. Bring sheet music as an accompanist will be provided. At the Callback, actors will read from the script. Auditioning for a non-musical play? Come prepared with a monologue. A resume and head shot are nice, but not required. Auditioning for a musical play? Choose a song that enhances and shows off your singing skills - usually not a song from the play for which you are auditioning. If cast, most rehearsals take place Monday-Thursday from 7:00pm-9:30pm and on one weekend day. Directors do their best to work around rehearsal conflicts, and you will only be called to the rehearsals you need to be at.